On arriving at the Amritsar railway station, get received, assisted and transferred by our tour representative to get checked into your pre-booked hotel in Amritsar. Take a rest in your hotel and stay there all the night long. After taking your breakfast, set out for the sightseeing tour of Fort Govindgarh. After visiting the fort, get back to your hotel in Amritsar to spend overnight there. Have your breakfast and get driven to Bathinda. On getting there, get checked into your pre-booked hotel and step out for the sightseeing tour of the Qila Mubarq Fort at Bathinda, possibly the oldest fort in Punjab. After exploring the fort, return to your hotel to stay there all the night long. After having your breakfast, get driven to Kapurthala. 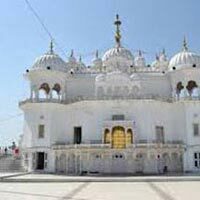 On reaching there, get checked into your pre-booked hotel and leave for the city sightseeing tour of Kapurthala. First of all, visit Jagatjit Palace, a remarkable building in Kapurthala in Punjab. Later, take your lunch and then visit the Moorish Mosque. After taking the enjoyment of sightseeing, get back to your hotel to spend overnight there. Take your breakfast and get driven to Nakodar to visit the Tomb of Haji Jamal, situated close to the Tomb of Mohammad Momin. After this, get driven to Jalandhar. On getting there, get checked into your pre-booked hotel to stay there all the night long. After taking your breakfast, depart for visiting Phillaur Fort, located at Phillaur town. 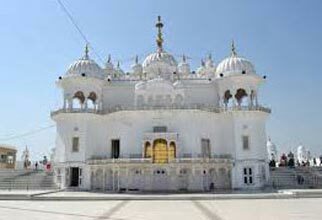 After the sightseeing tour of the Phillaur Fort, get driven to Ludhiana. On reaching there, get checked into your pre-booked hotel and step out for the visiting of Lodhi Fort. After visiting the Lodhi Fort, get back to your hotel to spend overnight there. After relishing your breakfast, step out for visiting Qila Mubaraq. While exploring the Quila, also get the chance of indulging in the luxury of buying traditional items renowned for their beauty and art like embroidered Phulkari and Juti in the Mandis and Bazaars situated inside the walls of the fort. After this, spend the rest of the free day for shopping in Patiala. Later, get back to your hotel to spend overnight there. Take your breakfast and get driven to Anandpur Sahib to explore 5 forts built by Guru Govind Singh i.e. Fort Keshgarh, Qila Lohgarh, Agamgarh or Holgarh Fort, Qila Anandgarh and Qila Fatehgarh Sahib. Later, get driven back to Chandigarh. On getting there, get checked into your pre-booked hotel to stay there all the night long. After having your breakfast, spend the full day for shopping and leisure. Also visit the Rock Garden. Spend overnight at your hotel.